Pictured (l-r): Jeff Silbar, Bette Midler and Larry Henley. Over the years, this song has become a bonafide “standard,” a song so memorable and popular that it ranks among the most performed pop and country songs ever. “Wind Beneath My Wings” has now been recorded by about 200 artists, in practically all genres of music. It reached its greatest notoriety in 1989, when it became a #1 hit for Bette Midler (from the Beaches soundtrack), and subsequently won the Grammy Award for Song Of The Year. In a recent interview, Silbar recalled how this song was originally conceived and written, which artists were among the first to record the song, and how it gradually became the standard it is today. It was in 1982 that Silbar & Henley wrote and recorded the demo for “Wind Beneath My Wings.” At the time, Silbar was already a successful songwriter based in Nashville. He had written several hits, including a #1 country hit for Janie Fricke, “He’s A Heartache (Looking for A Place To Happen),” and a #1 AC hit, “Where Were You When I Was Falling In Love,” by Lobo. He also worked as a Professional Manager for the publishing company he was signed with, House Of Gold Music. The next morning, Silbar & Henley polished the lyric, making final adjustments. Then in the afternoon, the duo demoed the song as a midtempo number, with a guitar-based arrangement. When it was completed, they added this demo to a composite tape of their latest songs, and delivered it to their publisher, Bob Montgomery of House Of Gold Music. After this flurry of cuts, things quieted down a bit. In 1984, Silbar and his wife, Lisa, relocated to Los Angeles from Nashville. 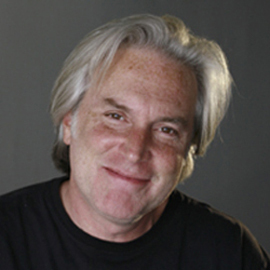 In addition to continuing his songwriting career, Silbar worked as a publishing executive, heading up the Los Angeles office of Tree Music. Then in 1988, Silbar learned that Bette Midler would be recording “Wind Beneath My Wings” for her movie, Beaches. 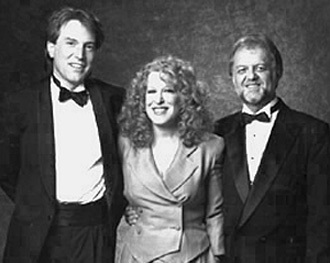 Midler’s musical director Marc Shaiman had played the song live for Midler, director Garry Marshall and co-producer Bonnie Bruckheimer, and they had all loved the song. Here’s a video of Bette Midler performing “Wind Beneath My Wings” live. The Beaches movie and soundtrack album were released in December 1988. “Wind Beneath My Wings” was actually the second single release, following the first single, “Under The Boardwalk.” But “Wind Beneath My Wings” was clearly the favorite from the soundtrack, and it steadily moved up the Billboard Hot 100 and Adult Contemporary singles charts. More than three months after its release, in June 1989, the song reached #1 on both of the Billboard charts. The single also became a worldwide hit. Midler’s version helped establish “Wind Beneath My Wings” as a legitimate standard. Over the years, many other artists have recorded this song, including Willie Nelson, Kenny Rogers, Patti LaBelle, Eddie & Gerald Levert, John Tesh, Judy Collins, Shirley Bassey and Perry Como. Also, it has continually been honored for being one of the most performed songs. In fact, “Wind Beneath My Wings” has now won six ASCAP Pop Awards, and in 1999, was honored by ASCAP for being one of the most performed country songs of the century.